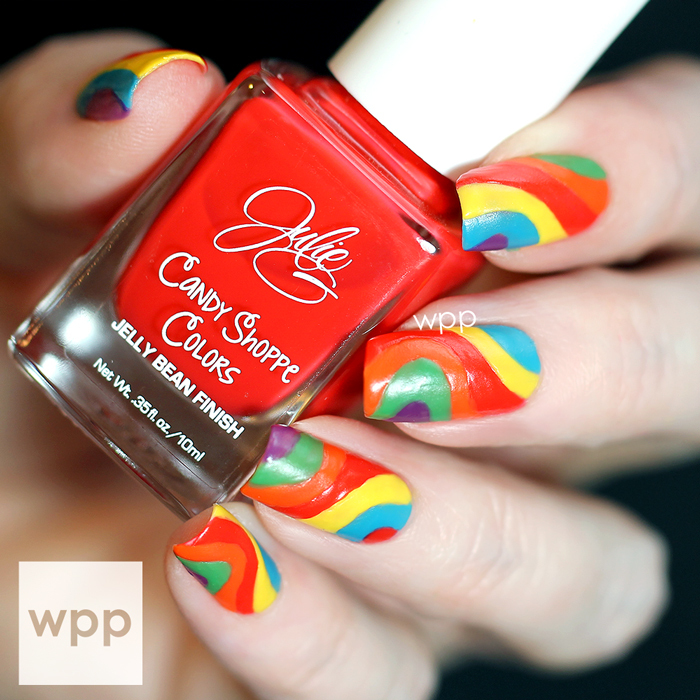 JulieG Candy Shoppe Collection Nail Art + I'm on a polish package! Hi guys! It's so good to have the blog moved. I think I've fixed everything that I can for now and it's time to get back to real, no-kidding nail blogging. Yay! I received JulieG's summer release, the Candy Shoppe Collection, right before I started the site switch, so this set has been waiting patiently to be used. I thought they screamed for nail art. 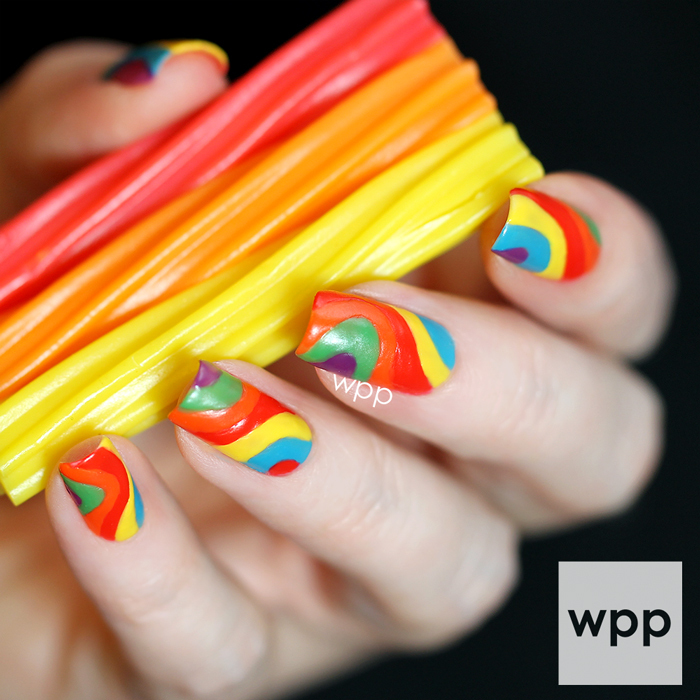 Originally, I had visions of creating a version of this swirly nail art using the water marble method. Major fail! (It was bad...really bad.) For try two, I used the medium, soft-bristled brush from this Color Club nail art kit and freehanded the design. I had to go over the stripes twice. The shades aren't sheer, but they do have a translucence about them..so you have to build the color. I'm really digging the rubbery, uneven, licorice-like finish of this look. 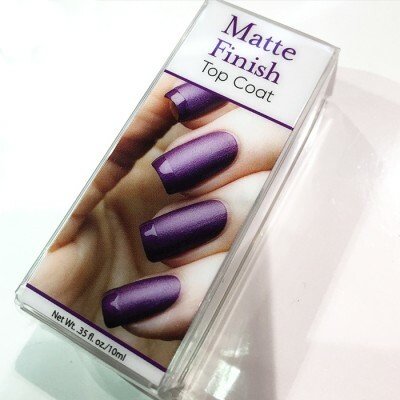 Also available now are two new JulieG topcoats. I mentioned Matte Finish in my LA recap post (here). I was shocked to see my digits on the packaging. I had no idea! LOL. [full disclosure; I was previously paid for that image.] This one is pretty self explanatory. The other one, Plumping Top Coat, has a gel-like finish. 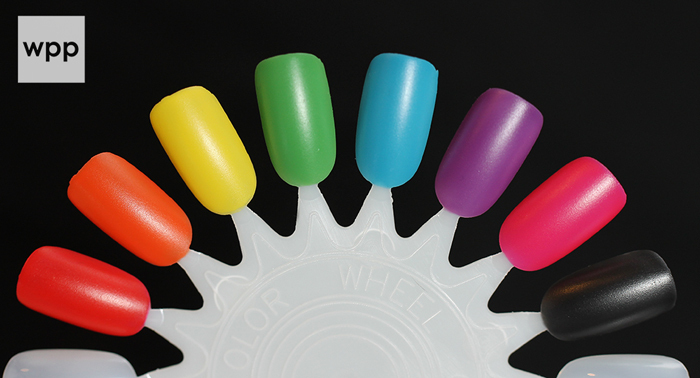 With all "gel" topcoats, be sure your polish is completely dry before using it to avoid bubbling. So what do you think? I love it when someone comes out with something I haven't seen before. The finish on these is really unusual. They truly have a candy quality. The Candy Shoppe Collection, Matte Finish Top Coat, and Plumping Top Coat are available now on the Jesse's Girl website for $3.99. They should be arriving in a Rite Aid store near you soon.